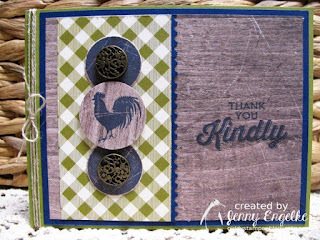 Jenny combined the rooster with barn wood and gingham to create a rustic take on the sketch. 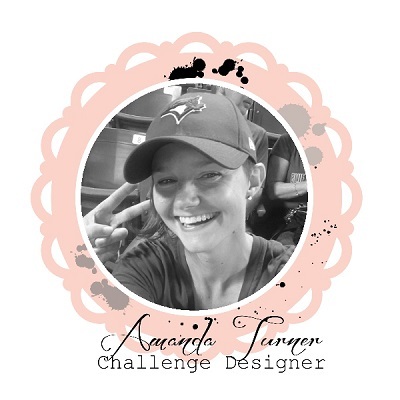 We loved how her design elements came together in such a natural way and how she used old products with new ones to create her card! Tammy's whole design was inspired by a brad - an awesome wedding cake brad, by the way! The Design Team loved her crisp, nautical looking DSP and the adorable bird couple on the dark blue background! We're so glad she chose our Collection Challenge to get back into playing them again! Congratulations to our two winners and thanks to everyone who played along! 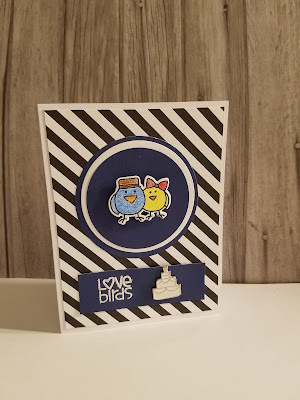 I hope you'll come back and check out our new and interesting Speed Stamping challenge tomorrow! Our winners can pick up their badges on this page and display them with pride on their blogs or sites. Awesome!!! Thanks so much for choosing my card!! !